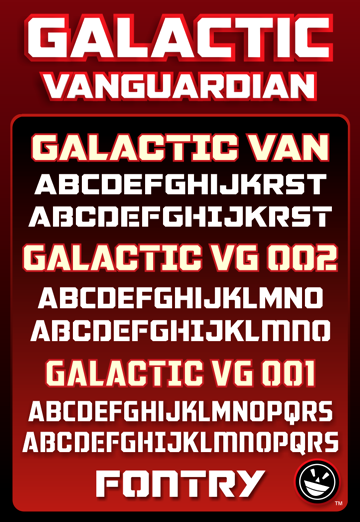 View the Galactic VanGuardian family in its entirety with our comprehensive PDF specimen book. Trouble viewing in your browser? Try a different browser, or CLICK HERE to download. Unzip the PDF file and open it directly in Adobe Acrobat Reader. games, apps, OEM, ebook, etc. fonts, signage, screen printing, etc. 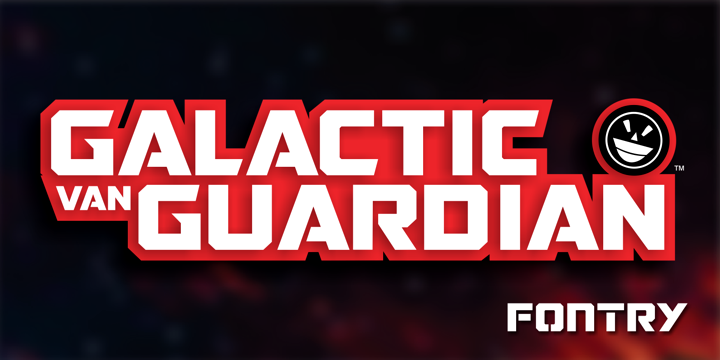 BUY NOW and instantly download the commercial version of FTY GALACTIC VANGUARDIAN, with complete keyable and non-keyable character ranges, foreign characters, OpenType replacement options and multi-language support. OTF and TTF format. ZIP download. Mac and Win supported. Secure PayPal checkout and PayLoadz download with email notification. Not a PayPal customer? PayPal accepts credit cards and so do we. Just give us a call. Or email. You can even request a PayPal Invoice. Compatible with Interactive OpenType features. Key letters have alternative replacements when a glyph is conspiring against your layout. To find more goodies, just visit the keymap in your design software. *The $25 purchase of this font family allows use for desktop publishing, graphic design, web fonts, signage, logos, etc. This is a STANDARD LICENSE. **The $75 purchase of this font family allows standard usage plus distribution via software, games, hardware, apps, ebook, interactive, OEM, install on a server, etc. This is a UNIVERSAL LICENSE. 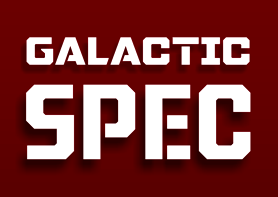 FREEWARE VERSIONS AVAILABLE FOR MOST FONTS!